How does Postradamus stack up against Buffer? Postradamus and Buffer are pretty similar as far as what they try to accomplish so it really is fair to compare the two. 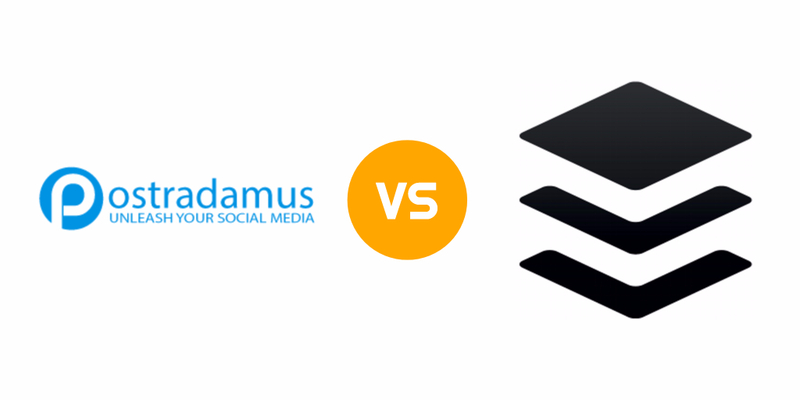 Both Postradamus and Buffer support Facebook, Twitter, Instagram, LinkedIn, WordPress and Google+ and Pinterest. With Buffer and Postradamus you can schedule all posts at once. Postradamus has a powerful set of viral content search engines where you can find content for any industry in a matter of seconds and sort by the most popular posts. Buffer does not appear to have any kind of content search engine feature. Buffer has some really nice reporting features to see how well posts have performed as well as how often your links are getting clicked. Postradamus does not yet have such features. Try free for 15 daysThe best way to really know is to try it yourself!